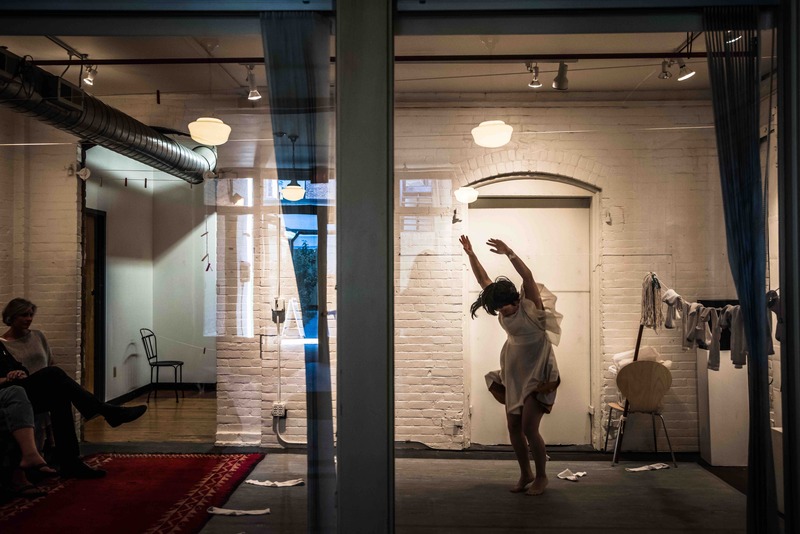 photo credit: video projection still; bottom left and right Kelly Fletcher photography, Margaret Paek dancing in Dianich Gallery during Vermont Performance Lab Progressive Performance Festival September 2015. As summer roars into fall, we are excited to share recent and upcoming news. This past June, Dahlia was honored to receive the 2016 Massachusetts Cultural Council Fellowship award for Choreography. Next month, the New Art Center in Newton, Massachusetts will be featuring works of MCC artists. Click here for more information. This fall, we begin our 2125 Stanley Street tour, supported by the National Dance Project Touring Award! Tickets are available for our performances at Links Hall in Chicago as part of the A-Squared Asian American Performing Arts Festival, featuring four evenings of contemporary dance, music, performance art, puppetry, sound art, spoken word, and theatre. Come see us on Thursday, October 20th or Friday, October 21st or purchase a pass to the entire four day festival. Prior to the performances Dahlia will be speaking on a panel for the Chicago Dancemakers Forum symposium on "Artist-Presenter Collaborations for Dance" hosted by High Concept Laboratories. Dahlia is delighted to connect with the dancemaking community in Chicago. Stay tuned for more tour dates across the country over the next year. The NDP Touring Award enables us to continue to adapt the project to new spaces and reach new audiences, as we plant seeds for developing new work. 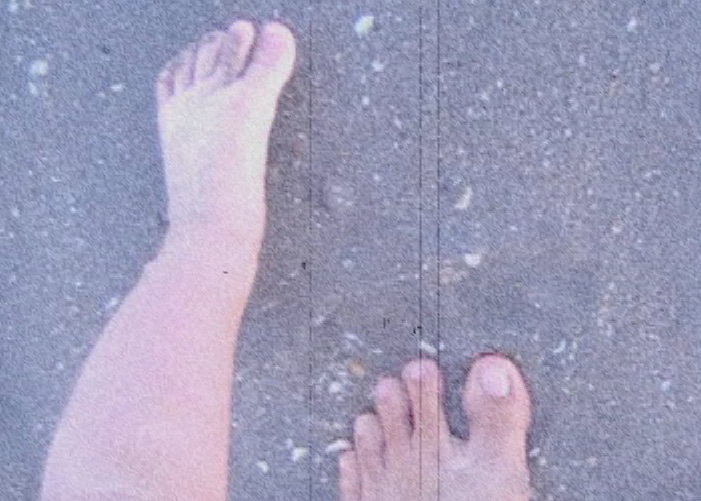 Our tour includes performances in a variety of spaces, and residency activities including master classes/workshops with dance/art/film/music departments, conversations on themes of diaspora and cultural hybridity, and opportunities for audiences to "play the space", interacting with the electronic soundscape designed by composer Loren Kiyoshi Dempster. To inquire about bringing this work to your campus, institution or venue with National Dance Project funding, please contact our Touring Coordinator, Jane Forde. Wishing you a wonderful end of summer. 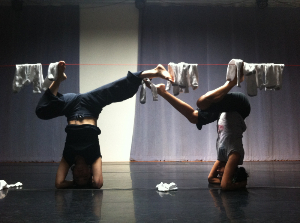 2125 Stanley Street is a contemporary dance performance exploring deeply personal notions of home. 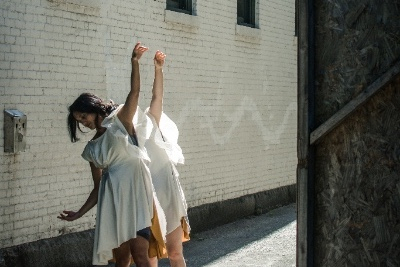 Dancers/co-creators Dahlia Nayar, Margaret Sunghe Paek and cellist/composer Loren Kiyoshi Dempster (see bios below) adapt the work as it migrates to various spaces: a studio, a theater, a gallery, a community grange, a buddhist church. We excavate the everyday and the mundane in search of a poetic consciousness, infusing basic tasks with virtuosity and nostalgia, summoning fragmented multilingual memories and lullabies from our childhoods. Ultimately, 2125 Stanley Street aims to invite the audience into a home that unfolds through movement, sound and intimate exchange, a home that is is both familiar and yet cannot exactly be located. Named "Best of Stage and Screen" 2015 by Downeast Magazine, Stanley Street is a recipient of the National Dance Project Touring Award for 2016-17 . See a video link for the work here. Copyright © 2016 dahlia nayar, dahlianayar.com All rights reserved.